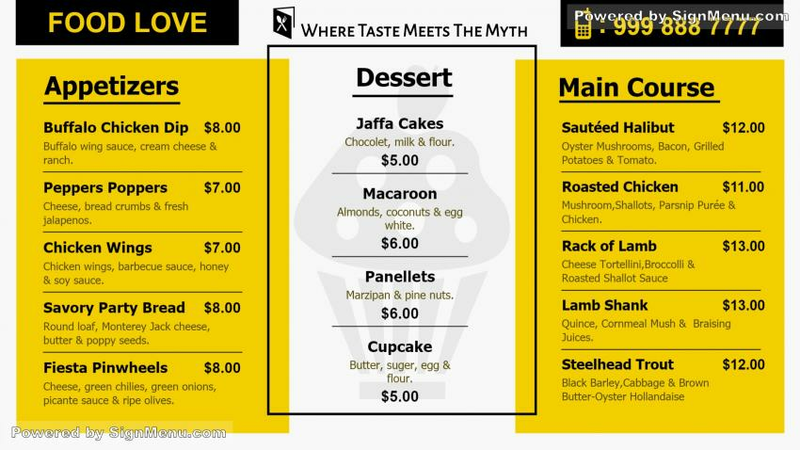 this template is best showcased on a digital menu board indoors a restaurant. The structured and lean menu provides ample scope for advertising on up-sells and pricing offers. The advancement of digital software in this context has benefited the restaurant business enormously. This template is ready for download and use.